Since 1991, Allan has provided financial advice, education, and services that have qualified him to be recognized as one of the industry’s top financial advisors*. 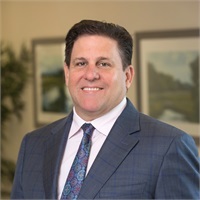 Prior to joining First Allied, Allan ran a highly successful financial planning practice while also recruiting, training, and supporting many advisors under the titles of Investment Strategists and Field Vice President at Ameriprise Financial. He is a CERTIFIED FINANCIAL PLANNER™ Professional (CFP®) and holds Series 7, 24, 63 licenses as well as Life, Accident, and Health Insurance licenses. Allan is described as a thoughtful, deliberate, and hands-on professional. Treating clients like family means more than enjoying their company and caring about their interests; it also means assuring they receive sound professional advice, sincere advocacy and service that is good enough for family. Allan attributes his success in helping clients reach their goals to his unique life experiences, passion for clients well-being, holistic approach and, most of all, his ability to listen and hear clients needs. "My personal experiences and values enable me to understand and relate to clients on where they are now, help them develop a vision of where they want to be, and create strategies for the future." Allan and his wife, Becky, have five beautiful children, Deanna, Allan, Samantha, Jake and Ally. They have many interests which revolve around spending time with their children as well as travel, food and wine. *At Ameriprise Financial in 2012, Allan was recognized as one of the industry’s top financial advisor through a quantitative and qualitative ranking as he ranked as the top .25% annually.